“The X-Files” is a popular television series that was originally aired from September 1993 to May 2002. It was produced by Chris Carter for the Fox Network. While I did catch an occasional episode or two when it was first aired, it’s only now — almost two decades after the series began — that I’ve started watching “X-Files” religiously, i.e., in a dedicated, deliberate fashion. At the time of this writing, I am somewhere in the middle of season 3. In this post, I am concerned neither with the mythology of “X-Files” nor with any of its specific stories or characters. Rather, I want to explore the meaning of one of the two slogans that became iconic in American culture thanks to the series’ popularity—“The Truth is Out There” and “I Want to Believe.” I’d like to tackle the latter slogan first, leaving the former for another day. Throughout the series, or at least in the episodes I’ve watched so far, one of the protagonists — FBI agent Fox Mulder (played by David Duchovny) — frequently expresses his desire/ambition to “believe.” He does so both verbally and through his actions. Mulder even has a poster hanging prominently in his office that depicts a hovering UFO or alien spaceship, with bold letters proclaiming “I Want to Believe.” The slogan appears to be intended by the creators of “X-Files” to serve as a quick description of what motivates this particular character to engage in a relentless, even obsessive, struggle to track down aliens, observe paranormal phenomena, and expose government conspiracies designed to cover up the first two — even at the cost of endangering his life. The question I want to explore concerns the value of adopting “I Want to Believe” as one’s goal or purpose in life — something akin to what Stephen Covey calls a “personal mission statement.” The slogan appears to suggest that believing is some sort of virtue that ought to be cultivated for its own sake, that it is something all of us (or at least the noblest and the most ambitious among us) should aim for. The assumption is that the vast majority of us don’t believe — most of us are either inherently incapable of believing or we have recently lost the ability to believe; and this general lack of belief is precisely what makes Mulder a lone warrior, a “cry in the wilderness” type of prophetic figure, who insists on continuing to believe even when the evidence is either scanty or ambiguous. What makes him a hero is that he goes on believing in extreme possibilities despite all the pressures of a skeptical culture and despite all the eye-rolling of his partner Dana Scully (Gillian Anderson). And yet, Mulder seems to be fully aware of the difficulties involved in maintaining a practical commitment to his beliefs, as there are powerful forces attempting to discredit his theories and findings. Given that he regularly comes up with hypotheses that are too fantastic from the viewpoint of his peers, Mulder needs all the support he can get in order to persevere in following his hunches. Since that support is hard to come by from other people, the poster in his office appears to function as a surrogate. Presumably, the poster is a constant reminder of what his life’s purpose is supposed to be, a reminder that he must take his own hypotheses seriously even if they appear silly or unscientific to everyone around him. To keep one’s commitment to believe intact in the face of opposition and ridicule clearly represents an act of exceptional courage. Either that, or it is a sign of delusional schizophrenia. There is a fine line separating genius from madness, a line that is far too easy to cross. Because of the possibility that one may have lost one’s mind, to believe against the collective pressure of society is to take a tremendous risk. There is safety in believing what everyone else believes and denying what everyone else denies. More than safety, there is considerable wisdom in accepting what has become established as true after centuries or millennia of collective human experience; there is, after all, no need to reinvent the wheel. At the same time, there are occasions when it is worth going out on a limb — when it is worth believing and proclaiming a truth that is neither commonly acceptable nor currently provable — simply because one has an intuitive sense of having caught a glimpse of some aspect of truth. But then again, one’s own sense of confidence that one sees what others can’t or won’t see is no guarantee that one isn’t delusional. There is no dearth of highly confident individuals in mental asylums, folks who are absolutely convinced of the truth of whatever they happen to believe. While risking one’s position in society for the sake of one’s convictions is very often the cause of real human progress, a complete lack of doubt in one’s own private thoughts reveals a deficiency in self-awareness and cannot be a very healthy condition. Some form of objective, external confirmation of one’s hunches or visions is therefore necessary for gaining a relative assurance that one’s feet are firmly planted on this side of the genius-madness boundary. Assuming that one hasn’t gone crazy, it is no doubt highly noble to maintain one’s commitment to believe what one personally knows to be true, especially when that commitment doesn’t provide any obvious, material advantage but is actually detrimental to one’s social status and approval ratings. In other words, believing what’s true is a virtuous act, especially when performed in the face of opposition or ridicule. But this raises the possibility that one can also believe what isn’t true—one may believe what’s actually false. Clearly, believing what’s false may or may not be a vice, but it cannot be a virtue. It follows that there is nothing noble or virtuous in believing as such. In everyday English, believe means (1) to have confidence or trust in a person; (2) to give intellectual assent to, or accept the truth or accuracy of, a statement, doctrine, etc. The dictionary doesn’t say that in order to believe one must be justified in one’s convictions, or that one’s convictions must, in fact, be true. The concept of truth is not part of the concept of belief. All people—including delusional schizophrenics—do believe something. The really interesting issue therefore is not the fact of belief but the content of belief. It is a trivial point that people believe; the non-trivial question concerns what they believe, and whether or not what they believe is, in fact, true. At first sight, the slogan “I Want to Believe” appears to be incomplete, for it lacks an object for the main verb. If the slogan is taken out of its narrative context and presented before a group of people unfamiliar with the television series, they would probably wonder about the missing object—“believe what?” Of course, this is not a problem for the audience of “The X-Files.” They are fully aware that, within the mythology of the series, the kinds of statements and reports that people find incredible concerns extraterrestrial aliens, paranormal phenomena, and government conspiracies, and that these are most likely the sort of things that Mulder “wants to believe.” Indeed, the “The X-Files” mythology never suggests that there has been any decline in the human ability to believe as such; rather, the decline is only in the human ability to believe certain kinds of statements and reports, and in their ability to give credence to certain kinds of interpretations of observed events or data. It is in the face of this very specific sort of incredulity that Fox Mulder wishes to believe otherwise. I would like to emphasize that believing as such is not a virtue, partly because everyone believes something just by being human and partly because of the possibility of believing what’s false; and that only believing what’s true can properly be seen as virtuous, especially when a person goes on believing despite facing opposition and ridicule. People who are delusional—as well as those who are confused, mistaken, uninformed, misinformed, brainwashed, deceived, and so on—can be extremely certain and steadfast in their beliefs; they may be so convinced that they are willing to kill other people or sacrifice their own lives. Yet, no one thinks of their commitment to whatever they believe as particularly virtuous. It seems that people do not associate virtue with belief unless they are convinced that the belief in question is, in fact, true. This seems to suggest that humanity, in general, does not have a high regard for believing as such, but only for believing in a truth—especially an unpopular truth. For all practical purposes, what matters is judgments like these is people’s perception of whether something is true or false; they would respect a person’s commitment to what they take to be true and not what they take to be false. Leaving aside the epistemological question, it seems to me that this is indeed the right attitude. Let’s return to the poster in Fox Mulder’s office that says “I Want to Believe.” What kind of believing does this slogan advocate? 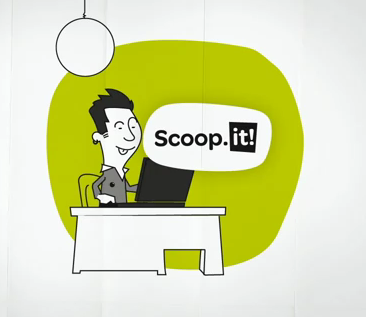 When the slogan is taken out of context, it seems to suggest believing as such, without any reference to the content of what is to be believed. But we have seen that the absent object in the sentence “I Want to Believe” is not really missing, for it is implied by the overall mythology of “The X-Files.” Apparently, the slogan refers to believing in the plausibility of particular kinds of scenarios — scenarios that are likely to be seen by the mainstream of society as having little or no probability of being real. The wanting part is obvious, for Mulder approaches every perplexing situation with a strong bias towards the most fantastic and least probable hypothesis, and is visibly disappointed whenever a mundane explanation wins out (which is relatively rare). He is not open-minded, in the sense of someone who is receptive to all possibilities. For this reason, and as Scully keeps bringing it to his attention, Mulder demonstrates a tendency to pick and choose only that evidence which suits his pet hypothesis in any given case, revealing the depth of his commitment to believe. In real life, this tendency will be normally seen as a violation of the scientific spirit; within the narrative framework of “The X-Files,” however, it is depicted as Mulder’s extraordinary ability to identify the most relevant clues in a given case. Every now and then, it appears that Mulder’s issue is not believing per se; rather, it is finding concrete evidence for what he already believes intuitively. In this respect, he is not all that different from most of us, including scientists. Yet, the fact remains that in real life intuition can both guide and misguide, depending on how it is interpreted. 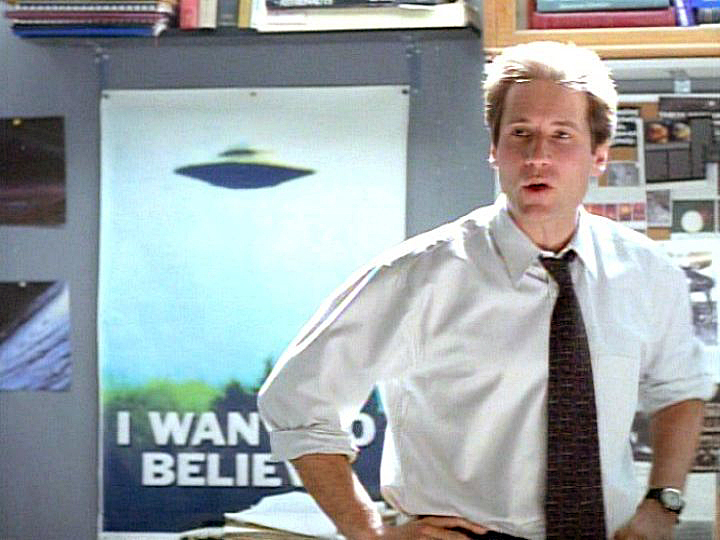 At the same time, the poster in Mulder’s office proclaims believing to be the object of his heart’s desire, rather than confirming his beliefs. If he already believes, what’s the point of saying that he wants to believe? Or is the poster referring to the degree or intensity of his belief? It would seem that Mulder’s belief in extreme possibilities is rather fragile, always about to fall apart, and so he constantly needs reassurances in the form of concrete evidence; what he really wants to believe is that he has not invested his life in pursuit of something illusory. He constantly needs, from this perspective, external validation that he is not living a meaningless life. At another level, however, what is not always clear is why Mulder wants to believe. Whether one has a hunch or one is in doubt, in either case it is worthwhile to inquire and investigate until one discovers the truth of the matter. But finding or figuring out what’s true is not the same thing as believing whatever one wants to believe. Isn’t finding out the truth better than proving one’s beliefs? Take, for instance, the issue of extraterrestrial aliens visiting the earth and abducting humans for experiments, a theme that “The X-Files” writers find particularly attractive. In fact, alien abduction is a pivotal theme for the entire series. Depending on the viewpoint of a given character and the specific narrative frame of a given episode, this scenario can be either true or false. But regardless of whether or not alien abduction turns out to be factual within a specific context, it seems to me that trying to cultivate a belief in its factuality would be a pretty useless enterprise. Whenever I see the poster, I want to give Mulder a piece of my mind: You should be aiming at knowing, Mr. Mulder, not believing. What is intriguing is that he does know. 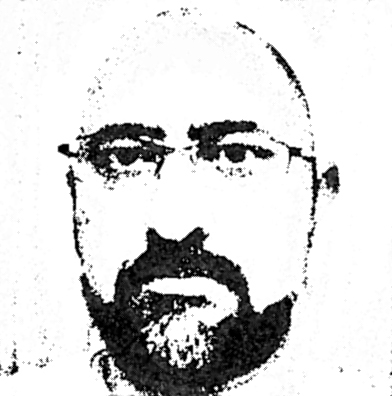 The FBI agent is fully aware that extraterrestrial aliens have been abducting humans for experiments, and he knows this on the basis of his own countless experiences and encounters. At a personal level, he has no reason to doubt that alien abduction is a factual phenomenon. Since he knows that the scenario is true, what he clearly needs to do is to demonstrate its factuality before the wider public, thereby defeating the government conspiracy to keep this a secret. And this is precisely what motivates him in episode after episode of “The X-Files.” Given that Mulder knows, I am troubled by the poster in his office that says “I Want to Believe.” For if Mulder truly knows, I don’t understand why he still wants to believe. In everyday English usage (as opposed to academic language), a tenacious belief does not attain the status of knowledge unless it happens to be true. A wrong belief, no matter how firmly or confidently held, can be seen as a mistake, a confusion, a misunderstanding, etc., but it is never seen as knowledge. In other words, knowledge is not simply a belief about which a person is completely sure. In addition to subjective certitude on the part of the believer, the belief itself must be objectively true for it to qualify as a piece of knowledge. (How do we know that a belief is true is besides the point.) Consider the following examples, slightly modified from Smith. The above examples demonstrate the following features of beliefs: (1) beliefs can be true or false, (2) a person can be certain or uncertain about the truth of a given belief, and (3) a belief amounts to knowledge only when it fulfills two conditions, i.e., subjective certitude and objective truth. Out of the four statements, Smith contends that only the last one, “I know that Washington DC is the capital of the United States,” would qualify as knowledge. These simple observations lead us to the following axiom: The more we know, the less we believe. Or, as knowledge expands, beliefs shrink. 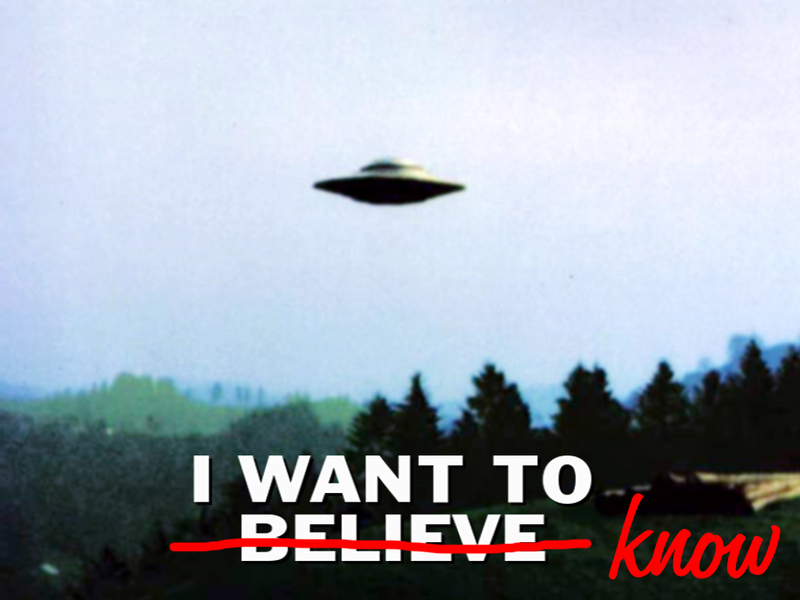 What, then, is the value of the slogan “I Want to Believe” as a personal mission statement? Not a great deal, I would say. Since the word “believe” usually implies a feeling of uncertainty, and since even a strong feeling of confidence does not guarantee that a given belief is objectively true, it seems to me that knowing is a much higher goal to pursue than mere believing. By saying that the Qur’an emphasizes “deed” rather than “idea,” Iqbal has identified for us what is perhaps the very essence of revelation. Muslims take the Qur’an as containing the revelations that came from God to Prophet Muhammad (peace be upon him). The phenomenon of revelation, however, is not unique to Islam, and the Qur’an itself confirms that many individuals had been the recipients of such divine revelation in the past. This fact allows us to examine the phenomenon of revelation in a comparative perspective. When we look at the revelations found in the Hebrew Scriptures and the New Testament, and compare them with the revelations that we have in the form of the Qur’an, we are struck by the fact that all these revealed texts have one characteristic in common: They are invariably aimed at encouraging and facilitating some form of personal transformation. The purpose of revelation is guidance, and the most important form of guidance that human beings need is practical guidance. Revealed texts are therefore meant to answer the most urgent of all questions, i.e., “how should I live?” While revelation provides theoretical guidance as well, the latter is discussed not for its own sake but mainly for its practical implications. In other words, the primary function of revelation is such that it is most clearly served when the revelation speaks in the imperative mode, as in the commandment “You shall have no other gods before me” (Exodus 20:3), or in the saying of Jesus “Whoever wants to be my disciple must deny themselves and take up their cross daily and follow me” (Luke 9:23). Even when the revelation speaks in the declarative mode, its aim is not simply to provide us with information but rather to transform us in some important way. For instance, when we are told: “God, there is no god except He . . .” (Qur’an 2:255), the revelation is not merely informing us that there is only one God; rather, it is reminding us of the attitude we are supposed to adopt given that there is only one God. In the same way, when the Qur’an narrates the stories of previous prophets or informs us of the punishments of hell and the blessings of paradise, its purpose is not to add more data to our minds; the purpose, rather, is to help us transform ourselves in the desired ways. To claim that revelation does not emphasize “ideas” is to suggest that holding the right beliefs is not one of its central concerns. In the ordinary, non-technical sense of the word, “believing” refers to giving intellectual assent to certain ideas. While it is important to hold the right beliefs, or believe in the right ideas, this in itself does not provide any guarantee that personal transformation will actually take place. It is all too common for people to hold one set of ideas as true, while living their lives as if those ideas were entirely false. It would appear that people tend to hold not one but two sets of ideas in their minds: (1) ideas that they believe they hold, and (2) ideas that actually guide their choices and conduct. From the viewpoint of revelation, holding ideas that do not shape our lives is ultimately worthless even when they are objectively true. For there is no benefit in “knowing” a truth if one does not “understand” it, and there is no benefit in “understanding” a truth if it does not guide one’s attitudes, priorities, habits, and values. A truth that is held in the mind but not embodied is no better than a treasure that we own but cannot spend. The essence of religion . . . is faith . . . .
. . . the transformation and guidance of man’s inner and outer life is the essential aim of religion . . . . Religion is not a departmental affair; it is neither mere thought, nor mere feeling, nor mere action; it is an expression of the whole man. That “faith” is the essence of religion is not an insignificant matter, for this implies that whatever is true of religion in general must be true of faith, if not truer. Consequently, if the purpose of religion is to guide and transform all aspects of human life, and if the essence of religion happens to be faith, then it would be a serious mistake to conceive of faith in a narrow or partial manner. What Iqbal says explicitly about religion he implicitly says about faith as well: Faith is neither mere thought, nor mere feeling, nor mere action; it is an expression of the whole person. For Iqbal, faith is the personal transformation that constitutes the “essential aim” of religion, as well as the means through which that aim is pursued. If we can conceive of faith in this broad and comprehensive Iqbalian sense, then we can also appreciate the partial and limited nature of belief. Faith is an expression of the whole person — the sum total of one’s attitudes, priorities, habits, and values, as well as of one’s choices and conduct — while belief is merely an idea that a person holds in his or her mind. While it is obviously better to hold a true belief than a false one, holding a true belief is not the same thing as achieving the “essential aim” of religion, i.e., personal transformation.